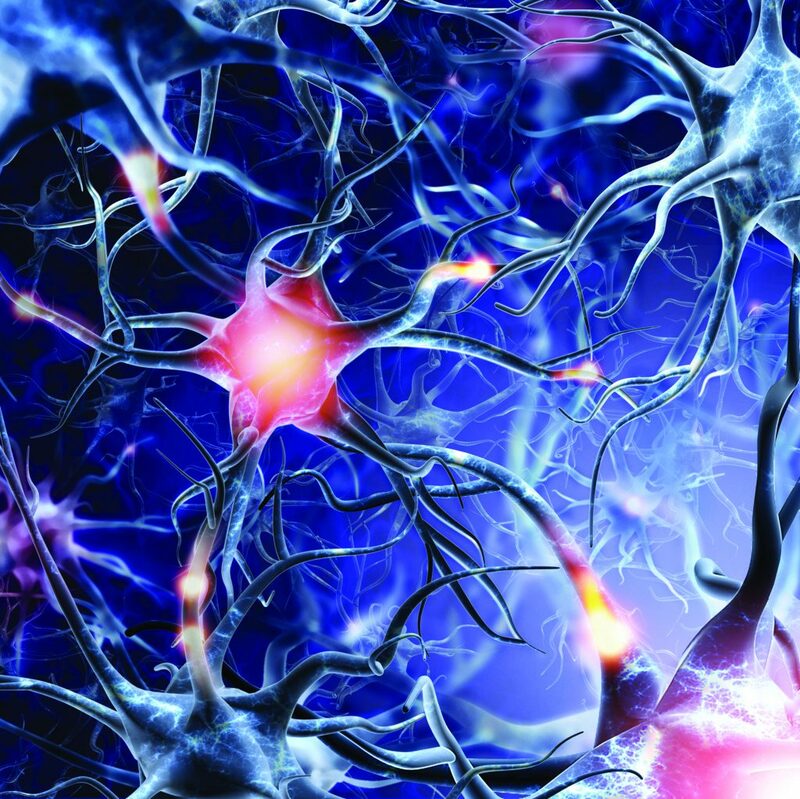 In nerve cells, the accumulation of protein into bundles of insoluble fibres is the underlying cause of a number of neurodegenerative diseases. Professor Robert Fairman and his team at Haverford College are developing cutting edge techniques to unravel this process. Proteins are the building blocks of life. The genetic code within each cell of our bodies controls the sequence of molecules called amino acids, which assemble together to form each protein. But this is only the first step. Amino acids are small charged molecules that interact with one another as they join together to form strings of peptides (polypeptides), which spontaneously develop into different structures known as secondary structures. This can involve the formation of sheets or helical spirals following certain rules determined by the order of the amino acids. These secondary structures then interact with one another to form larger tertiary structures of proteins that control and mediate every aspect of cell function. Many genes encode long sequences of the amino acid glutamine. Alterations in the DNA encoding these regions can lead to repetitions and an increase in the length of these sequences. When these chains of glutamine become too long, protein aggregates can start to form. These aggregates are formed from structures known as ß-sheets, which assemble into tiny fibres (fibrils) that cannot be dissolved. This leads to the death of particularly vulnerable cells such as neurones – the elaborate and sensitive cells in our brain. This is the basic mechanism that causes the debilitating and currently untreatable neurological disorder Huntington’s disease, which is characterised by a disruption of normal movements and a decline in mental ability, resulting in dementia. ‘The relationship of this aggregation to disease is poorly understood, and differences in protein structure may underlie differences in toxicity,’ Professor Fairman admits. ‘Many neurodegenerative diseases (Alzheimer’s, Huntington’s, Parkinson’s) have a similar underlying molecular mechanism of protein aggregation, involving the formation of an extended polypeptide chain that can aggregate through ß-sheet formation.’ As such, it is vital to understand how these protein aggregates are formed and the intermediary steps that lead to the development of small fibres and larger structures that somehow disturb normal cell chemistry and function in neurones. Professor Fairman’s team use the latest developments in a technique called analytical ultracentrifugation, which involves spinning solutions of peptides at very high speeds to separate them according to their sizes under the influence of elevated G-forces (gravity). 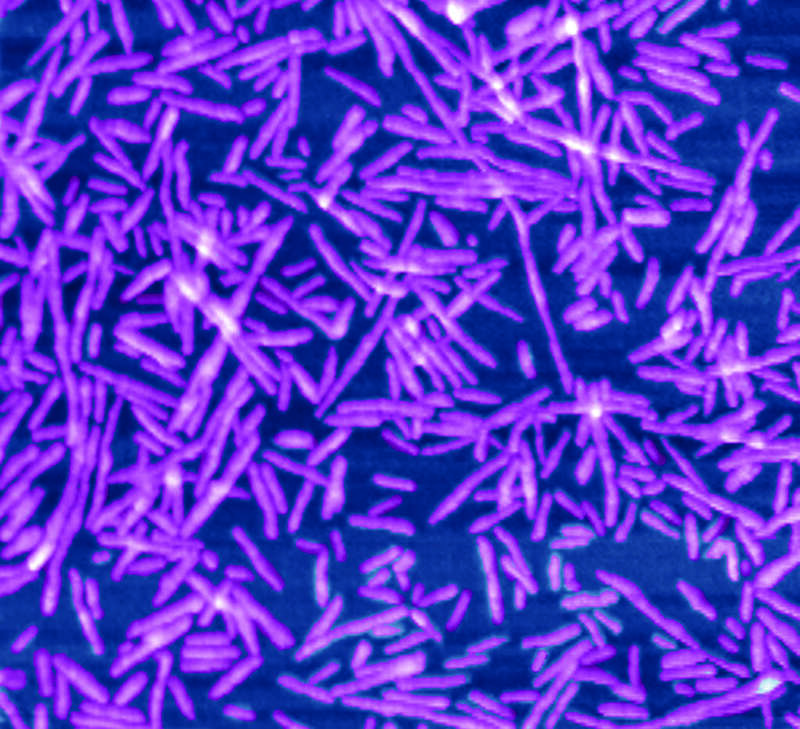 More recently, they have combined this technique with detecting specific proteins, which have been tagged with fluorescent markers. 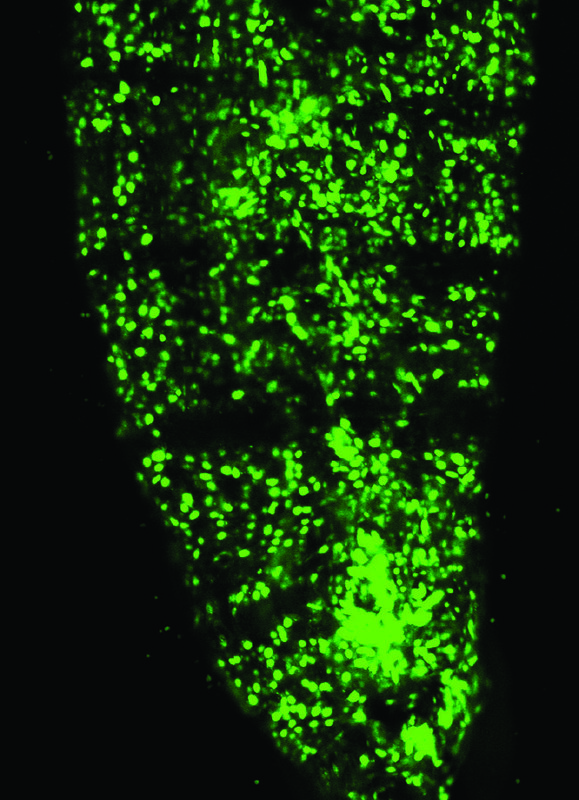 ‘Our work takes advantage of a key biophysical method that allows for the study of protein aggregation in solution, and more specifically, with the use of fluorescence detection, allows such characterisation in complex mixtures that better represent cellular conditions,’ says Professor Fairman. In work published in 2010, Professor Fairman’s team looked at the early assembly of these very small ß-sheet fibres by synthesising their own small peptides, containing repeating glutamines, that had been engineered to spontaneously form into a hairpin shaped structure. This approach produced observable fibres under the microscope and provided a good model of the intermediate steps in fibre production in neurodegenerative disease. This is especially important in light of the evidence that these early intermediate steps could be particularly toxic to cells, giving the team the chance to study how such structures assemble, and uncover the cause of this toxicity. Professor Fairman’s team published two further studies in 2014 that explored the assembly of protein aggregates in Huntington’s disease, using analytical ultracentrifugation and electron microscopy. ‘I have become fascinated with the use of the analytical ultracentrifuge as a unique biophysical tool to study protein aggregation,’ states Professor Fairman. ‘This tool satisfies my innate interest in quantitative approaches to biology research.’ Using these techniques, Professor Fairman’s team looked at how regions in the protein known to cause Huntington’s disease could interact and mediate the formation of aggregates. One region with a helical structure in the huntingtin protein, which is adjacent to the glutamine rich ß-sheets, is known to be important for the formation of aggregates. In order to investigate the role this structure plays in the process, this 17 amino acid long helical region was fused to a glutamine sequence. This same glutamine sequence was fused to another previously well studied coiled-coil structure consisting of two helices or coils twisted together like a rope. Comparing the two allowed the team to test different models of how these regions of the protein interact with one another. The presence of the coiled-coil acted to reduce aggregation and supported the model that interaction between regions is an important factor in the formation of aggregates from ß-sheets. They went on to examine the appearance and structure of the fibres produced by these synthesised peptides in order to reveal the mechanisms that produce much larger structures, from layers of ß-sheets, like those found in neurones. They observed that the presence of the coiled-coil helical structure did not prevent ß-sheet structure from forming, but it reduced the bundling of fibres that produces these larger structures. Understanding these mechanisms behind the assembly of larger structures can facilitate new approaches for designing inhibitors of protein aggregation. In addition, it allows researchers to design peptides that favour particular shapes, in order to investigate how these different structures lead to cell death in both cells and animal models. Fibres formed from ß-sheets can become tangled together and can drag in other molecules within the cell to produce much larger structures called inclusion bodies. In more recent work published in the last year, the team have developed the use of analytical ultracentrifugation combined with a fluorescence detection system to look at the intermediate steps in protein aggregation and inclusion body formation in an animal. This is of fundamental importance to understanding which of these intermediate steps is toxic or protective and contributes to cell death and disease. Advances in genetics now make it possible to label particular proteins of interest with fluorescent markers. A commonly used system involves genetically manipulating the worm Caenorhabditis elegans to allow visualisation of such proteins within the living animal. Professor Fairman’s team have shown that crude extracts from these worms can be analysed using ultracentrifugation methods to detect a wide range of intermediate aggregates of protein from the smallest fibres of ß-sheets to the larger inclusion bodies characteristic of neuronal damage in humans. This is proof of the concept that this method can be used in a whole animal model of disease using complex mixtures formed within a multi-cellular animal. The technique also allows the different types of intermediate aggregates of protein to be studied under the microscope and compared to those seen in the living animal. This has opened up the possibility of exploring the effects of specific genetic mutations in the proteins involved and how different factors such as ageing and the environment can influence aggregation. open to the global community,’ Professor Fairman states. ‘It is exciting to be involved at the cutting edge of this technology, particularly bringing this approach to my teaching as well.’ Students have been actively involved in work that has been published this year after working on bacterial enzymes that synthesise biologically useful peptides like anti-bacterial agents. This work could aid the redesign of such synthases for use in bioengineering projects. The teaching labs also provide students with a unique experience of the scientific process, as well as rigorous quantitative training in protein structure. Professor Fairman and his team plan to continue investigating the early steps in the aggregation of proteins with long glutamine sequences, and the influence of flanking regions in animal models such as Caenorhabditis elegans and the fly Drosophila melanogaster. Both of these model species can be genetically modified to label proteins of interest with fluorescent markers, making them ideal candidates for the application of this technique. The same approach can then be applied to the study of other protein aggregation systems such as the protein a-synuclein, which forms the aggregates characteristic of Parkinson’s disease. 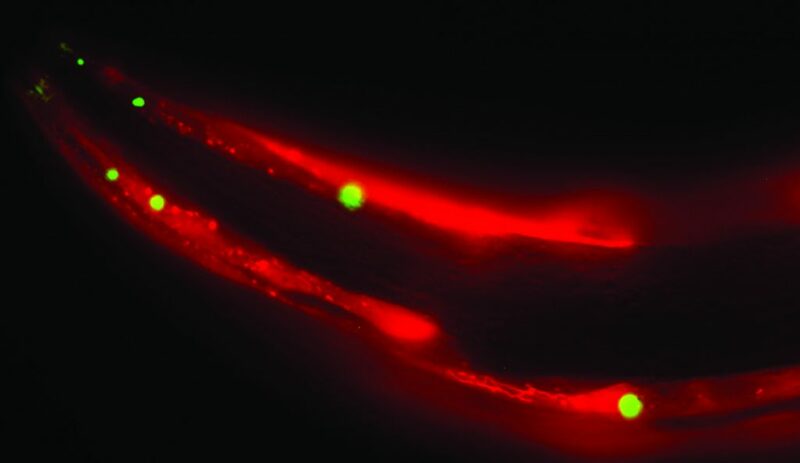 In Caenorhabditis elegans, the team plan to introduce mutations to a-synuclein and manipulate other genes and proteins that may influence aggregate formation. Using flies as a model system, the team also plan to look at a common mutation that is known to cause motor neurone disease (amyotrophic lateral sclerosis, or ALS) which encodes a set of five repeating amino acids that also have a tendency to form aggregates leading to neuronal damage. Using these methods, Professor Fairman’s team will unlock the mechanisms that cause neurodegenerative disease, allowing the discovery of future treatments. The advancement of these techniques also aids the development of novel biomaterials for use in engineering and biotechnology, and offers the next generation of young scientists access to the world of research. Professor Robert Fairman developed a fascination in biochemistry as an undergraduate studying at Long Island University and during a research internship at the Brookhaven National Laboratories. He went on to obtain a PhD at Stanford University where he became interested in protein design, folding and assembly. He followed this with a postdoctoral fellowship at DuPont Merck Pharmaceutical Co. and as a research investigator at Bristol-Myers Squibb. 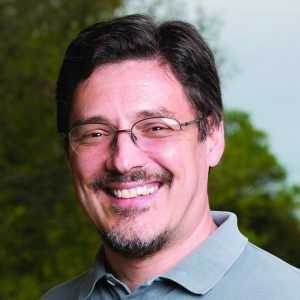 He was appointed to teach biochemistry in 1997 in the Department of Molecular and Cell Biology at Haverford College and is currently Professor of Biology where he is actively involved in teaching advanced topics in protein science. Amongst other courses, he teaches a junior-level hypothesis driven laboratory course (the ‘superlab’) and has developed cross department laboratory courses in biochemistry. The superlab course is one example of how his scholarship and teaching are highly intertwined. His group carries out research, using new techniques in analytical ultracentrifugation, into the development of novel biomaterials and the process of protein aggregation in neurodegenerative disease. B Kokona, CA May, NR Cunningham, L Richmond, FJ Garcia, JC Durante, KM Ulrich, CM Roberts, CD Link, WF Stafford, TM Laue, R Fairman, Applying an analytical ultracentrifuge equipped with fluorescence detection to the study of polyglutamine aggregation in Caenorhabditis elegans, Protein Science, 2016, 25, 605–617. B Kokona, ES Winesett, AN von Krusenstiern, MJ Cryle, R Fairman, LK Charkoudian, Probing the selectivity of ß-hydroxylation reactions in non-ribosomal peptide synthesis using analytical ultracentrifugation, Analytical Biochemistry, 2016, 495, 42–51. B Kokona, KA Johnson, R Fairman, Effect of helical flanking sequences on the morphology of polyglutamine-containing fibrils, Biochemistry, 2014, 53, 6747–6753. B Kokona, ZP Rosenthal, R Fairman, Role of the coiled-coil structural motif in polyglutamine aggregation, Biochemistry, 2014, 53, 6738–6746. 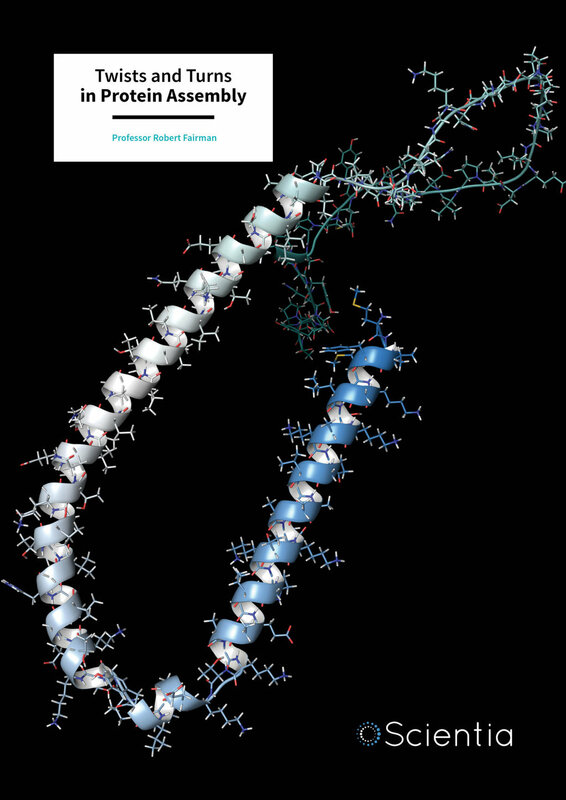 MH Smith, TF Miles, M Sheehan, KN Alfieri, B Kokona, R Fairman, Polyglutamine fibrils are formed using a simple designed ß-hairpin model, Proteins, 2010, 78, 1971–1979.